There are so many things you can do with the raw land. It can ultimately become one of your biggest investments for your business or dream home. The earning potential from raw lands can even increase exponentially if the price is your concern. You can create a recreational facility, rent it as a farmland, build house or hotel, and much more. However, nothing worthwhile comes easy. With its numerous benefits come various sacrifices and considerations. Thus, you may want to think twice or thrice before embarking on the venture. Investing in raw land is no joke. Your land may be subject to many risks if not dealt with properly. You may have stumbled upon this site to know exactly what those risks are, how to prevent them, and maybe even anything you can know about raw land. That said, here is everything you need to know. 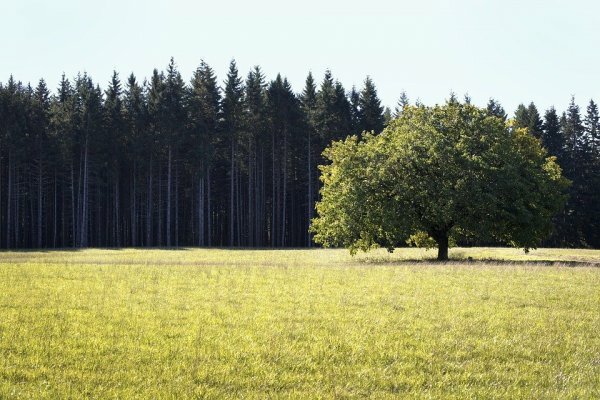 Simply put, a property that is in its natural state is called raw land. It can also be called unimproved land as it aptly means that the land has no sewers, streets, structures, and basically no utilities. Most raw land can be found in rural locations and some in urban areas. If you want raw land that is cheaper than average, you may try looking for them in rural areas or where there is generally a small population. You may think of financing your raw land from a bank, but you might be able to save a lot if you get it through the owner of the land himself usually at a lot cheaper price. Is Investing in Raw Land a good Idea? As it has already been mentioned, if you decide to become a landowner, you can let your imagination run wild when thinking about what to do. Of course, your ideas will have to be bound by reality. Nevertheless, doing business with raw land can become a huge impact to you and even to the society. Getting raw land is already a big win. With land just sitting there, you don’t exactly need to know how to build, renovate, or anything because there are people specialized in doing those kinds of work. As long as the world does not run out of those professional workers, then there is nothing much to worry about. It is a lot better than getting an already made building. Getting raw land, while there isn’t anything there yet, also means that you would not have to deal with the numerous problems buildings can have. Having to repair buildings dealing with toilets, lawn care, broken roofs, broken pipes, broken furnaces, old doors, bugs, mold, and many issues you can have with a building can be quite the hassle. Raw land is easier to buy anyway. Often is the case where sellers would hesitate in selling the property. It would usually be due to the seller’s sentimental value with the property. Obviously, because it is raw land, these sellers do not live there thus no sort of emotional connection would be a hindrance when buying the land. Neither is it worth much for them anyway since it is merely just land that does nothing. Although, there may be isolated cases where these sellers may still be in doubt when selling the raw land. You would not have to deal with competition. If you decide to buy the property whether it be a house, an apartment, or any type of building, there would not be any other people who would like to take it from you. You probably have experienced being outbid on property auctions, but with everyone else focusing on already developed property, no one’s stopping you from buying raw land. When Investing in raw land people typically don’t deal with banks or mortgage companies. Owner financing is a popular option when getting raw land. This makes it easier for you to allocate your money without ever having to get a bank loan. The land itself is a very valuable resource. Unlike many buildings and machinery, you cannot exactly replicate land. It is almost equivalent to getting a limited collector’s edition of anything. Have the land long enough, and you will be surprised at how much its cost can rise through the years. It is quite possibly the best retirement source for anyone. The transactions can be done virtually in the comfort of your homes. Again, since there are no structures that are on the land, you do not necessarily have to be at the site to do inspections. The inspections themselves can be done virtually, and if you find the right sellers, you do not even need to see him in person. This is best for those who want to buy and sell land. However, if you decide on developing the land, you may need to see the land itself and to an extent negotiate with the landowner. First impressions when looking at lands to buy can be surprisingly deceptive. Aesthetically it may look great, and the location may seem ideal. However, don’t fall for these first impressions. Just like how a friend may easily stab you in the back, these raw lands need to be thought of more carefully. This is especially if you plan to make developments on your raw land. Here is what you can look out for when buying raw land. 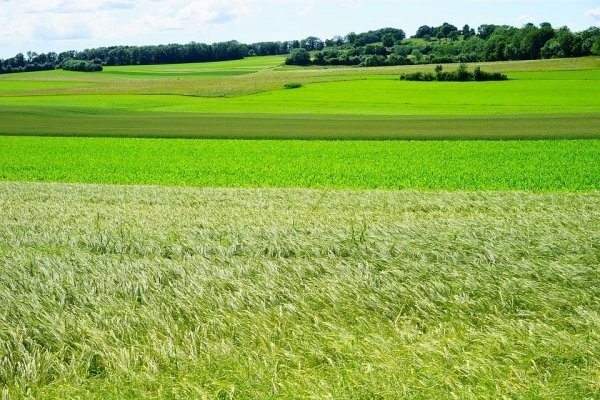 While the uses of raw land can be limitless, if you want to make a good investment on it, then you will have to consider what the land is best used for, i.e., its zoning classification. Some of these classifications include residential, commercial, industrial, agricultural, and mixed-use. Some of your ideas may not fit well in an industrial zoning but can work best in a residential one. You can simply call your local planning and zoning offices to know your land’s zoning classification. It usually should not take long, and you can even ask them what other landowners have built on the same classification. You might even get more ideas from there as well. You may definitely want to consider where your land is located on as some raw lands might not be best for buildings. That is if you want to put any sort of building on your land. Obviously, you can’t exactly build a huge building on a land with a steep slope. Houses may be an exception depending on its design. Either way, this is a pretty straightforward tip and is the easiest to do. You do not even need to go to the land when you can just use Google Earth online to see where your land is located. Additionally, you may want to check if the land is prone to flooding. It can be quite expensive to get insurance for lands in a flood zone. Although this may not be easily determined using Google Earth, you can try using FreeFlood.net or msc.fema.gov. The interface is quite easy to use. While you are calling your local planning and zoning offices, ask them about the building setbacks on your land. These setbacks are literally what it means; it is another hindrance if you decide on building something on your land. Some properties of lands might not fit your dream of building a huge 5-star hotel. Others are even too small for anything rendering it quite useless. Buying raw land may require you to pay the tax that is almost the same amount as the land itself and sometimes even higher. Although all lands have this, it is suggested to check if the annual tax falls at least in between 1% to 4% of the property’s market value. Let us say you are interested in buying raw land worth $40,000. You then find out that the annual tax is worth $8,000 which is about 20% of the land’s value. In this case, you may want to check elsewhere. The good news is that these unusually high annual tax rates are not common. You may have gotten a super cheap raw land, but have you ever checked if it has access to water, sewer system, electricity, and other basic necessities? This is another standard if you want to build anything on your land. A big chunk of a land’s value lies in its easy access to these basic necessities. You have the option to push through with your land but dealing with this is a big hindrance to a good investment. You might even have to spend more. In cases where you have your basic necessities but do not have a proper sewer system, you may request for a Perc Test to be done on your land. This is especially if it is found in a more rural area. Perc Tests are for determining if your land can have a septic system installed as a replacement for sewers. If a water supply is your problem, then you may have to drill a well to find the water source. It is pretty easy to know if you would need to do this. Simply check if there are other buildings nearby, if none, then you may need to actually drill. If there is no water source even after trying to drill a well, there are services that provide water through trucks. You may need to consider the availability of the water and its price. If you are going to build commercial buildings on your vacant land, you will obviously have to check whether customers can even go to your property. This would mean checking if there are even roads that can be connected to your property. You have more chances of actually getting lands that have no access to roads more than lands with high annual tax. Other times, other private property might surround your land. If that is your case right now and you still want to push through with buying the land, you can try filing an easement to the property. An easement can be filed when your neighboring private property owner grants you access through their own property. Unless these people are your friends, most of the times, they would not do this for free. “What would I gain from allowing you access?” is a question they would usually have. Speaking of properties around the area, these properties can already tell you what would be good on your land even without asking for the zoning classification. If this is where you will build your dream home, you can even consider who you will be living next to, i.e., your neighbors. There may be pros and cons to it, and there will be times when some factors are outside your control. If you thought of a great idea on a raw land that you have found, then have you ever thought of why other people have not thought of a similar idea to yours? A good general tip when buying land is to consider first why these lands are for sale in the first place. True, it was mentioned earlier that most people would focus on developed lands already, but you are not the only one who has decided to invest on raw land. The fact that there are articles about it means that there is an increasing population of raw land investors. What About the Due Diligence Process? Checking for every aspect mentioned above when buying raw land can be such a tedious task. It will definitely take a long time and would require different expertise which you may most likely not have. Even if by some miracle you do get to learn how to check the land effectively, there is a lot of implications you may miss unlike if you actually hire professionals to do it for you. Nevertheless, it may be just worth it if you just hire experts for it. Doing this means you are doing due diligence. Due diligence takes a lot of time but a lot less if you do it yourself. Since you are hiring experts, do not expect it to come cheap. The process would usually come in the form of a feasibility study, and if you have any experience doing any feasibility study yourself, you would probably know how hard it is even for the professionals. When making the offer, ensure to set a reasonable deadline for the study and inspection which could be further negotiated. ● Ask the seller if there are still lines attached to the land. You can ideally ask this even before you do due diligence. Land with liens means that the seller still owes money to a creditor, which means it may take months or years before you can be able to purchase the land. ● Since these due diligence processes would often cost a lot, you may try asking the seller to help you pay. Since you are showing your willingness to buy the seller’s land by the very act of doing due diligence, the seller should be able to at least pay a part just in case a finding pops up from the process that makes you want to back out from investing in raw land. Make sure that you negotiate well with the seller as these usually come with an offer. ● It does not hurt to double-check the land by hiring your own surveyor. In some cases, the seller may have provided his own surveyor, but double checking with your own can show some missed details. ● Check the plant to be informed about every dimension of the land as well as its location. It is not drawn by the seller but rather by public entities, so you are ensured that information present is legitimate and legally binding. ● Do your own part by going to or contacting the local planning and zoning office, the health department, utility companies near the area, and the environmental protection offices. If no major issues were found in the due process, then you have a go signal. How Do I Go About Investing in Raw Land? If you have not found a land that best fits all of the standards mentioned above, try looking for some other land. When you have found it – and make sure that you definitely want the land – your next question would probably be how to actually buy the raw land. 1. Ask help from a lawyer. If you do not know much about real estate, it is highly suggested to consult a lawyer. Even experienced land investors still seek advice from their lawyers. There are a lot of complications that may come up when you buy raw land. Once you get your due diligence, the lawyer can further interpret this and its implications both short-term and long-term. Although there are ways to buy land without ever seeing the seller, this might be only applicable to more experienced investors. With a real estate lawyer, your rights as a potential owner are clear, and you would not need to hassle yourself learning the jargon used when negotiating with the seller. At this point, since you are already talking to a real estate lawyer anyway, go ahead and ask about building permits and requirements you may need. Ask as well if there is a warranty deed. Additionally, this would be the perfect time for you to get owner’s title insurance. 2. Negotiate well whether through your lawyer or directly to the seller. If you are talking to the seller, make sure to have confidence and try being a great conversationalist. Your congeniality can even get you a bargain from the seller. When you propose an offer, try starting low. If the seller refuses, you may try reasoning out or raising it higher. If you decide to make a down payment, it should be at least 30% of the overall price, and you should be able to provide a closing date. Make sure every detail of your offer is clear and should ideally contain provisions to allow you to withdraw based on the findings of the due diligence. If you want to push through, the provisions should state that you buy the land at a cheaper price. When looking for raw land, try getting ones that do not cost a lot while still fulfilling your needs. Besides, this land will gain more value over time. Lastly, ask if there are any property tax saving programs you can avail of, especially if you plan to leave the land undeveloped. These programs reduce taxes over time in the undeveloped land. 3. If you really want to purchase a certain raw land which has a high cost, you may want to get the loan. Although this may not exactly be ideal, there are cases where you may think that the land you spotted will be worth it in the end. If you really are convinced that this is the case but do not have the cash for it, you may as well get a loan from a bank. However, be aware that getting a loan for raw land may be harder than you think. It is even more difficult if you plan to keep your raw land uncultivated for a long time. It is quite understandable since there is always the possibility of you walking away or backing out from buying the land, so you have to be really sure about the land you are buying. Since there are no buildings or any infrastructure on raw land, banks may require having a higher credit score since there is no form of collateral available on the land. In any case, you might have a slightly greater chance to get that loan approved if you ask from local banks. 4. If your bank loan gets rejected, you may opt for owner financing. This process works best if the seller either wants to get rid of the land already or is having a hard time getting the land sold in the first place. Bring up the idea of owner financing if that is the case. If he too agrees, the process is quite simple and similar to a bank loan. First, you would need to make down payment which should at least be 20% of the value. The owner would literally finance you, so you may be able to use his or her land. Once you get money, you pay the owner regularly depending on how you and the seller talked about it until you finish all the payments. Finally, the dead to the land would be yours. Owner financing can be your first choice before applying for a bank loan if the situation fits. It works better for both you and the seller as well. Compared to a bank loan, you would not need to reach certain qualifications, costs less due to fewer fees, and closing of the sale is much faster. Although it is again suggested to ask for a real estate lawyer’s help when negotiation for owner financing.